Click link to download your FREE Peanut Free School Safe Recipe Book! 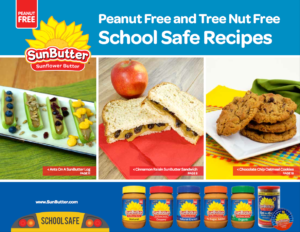 Over 22 peanut free, tree nut free and delicious recipes that are safe for school, after-school activities, kids sports, and other activities. Download more free SunButter Recipe Books including our Snack and Fan Favorite recipe books.